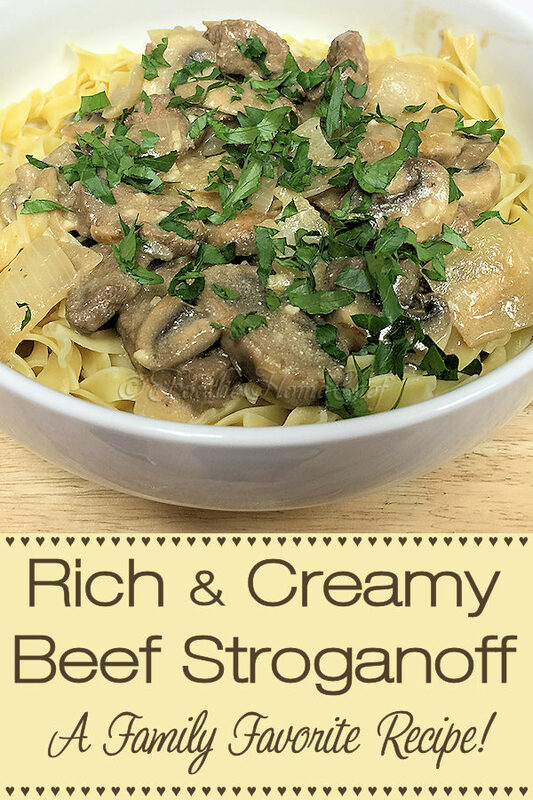 This was one of my daughter's favorite meals growing up, a true comfort food & must have recipe! 2 In a 4 to 5.5 quart Dutch oven; melt 1 Tblsp butter on med-high heat, cook & stir onions 3 min. Add 1 Tblsp butter & mushrooms, cook & stir another 2 min. Transfer to a bowl, cover & set aside. 3 In the same pot (still on med-high); add the remaining 2 Tblsp butter, cook & stir beef till it turns grey. 4 Stir in 2 cups of beef broth, garlic, ketchup, salt & pepper. Return to a boil, then reduce heat to low/warm, cover & simmer 45 min (see Tip# 1). 5 In a bowl; whisk the remaining 3/4 cup beef broth & the flour till completely blended, no lumps. Stir into meat along with onions & mushrooms. Bring to a boil over med-high heat & stir for 1 min. 6 Reduce heat to warm, stir in sour cream, cover & heat for 15 minutes. 7 While waiting; cook the egg noodles according to pkg directions, al dente. 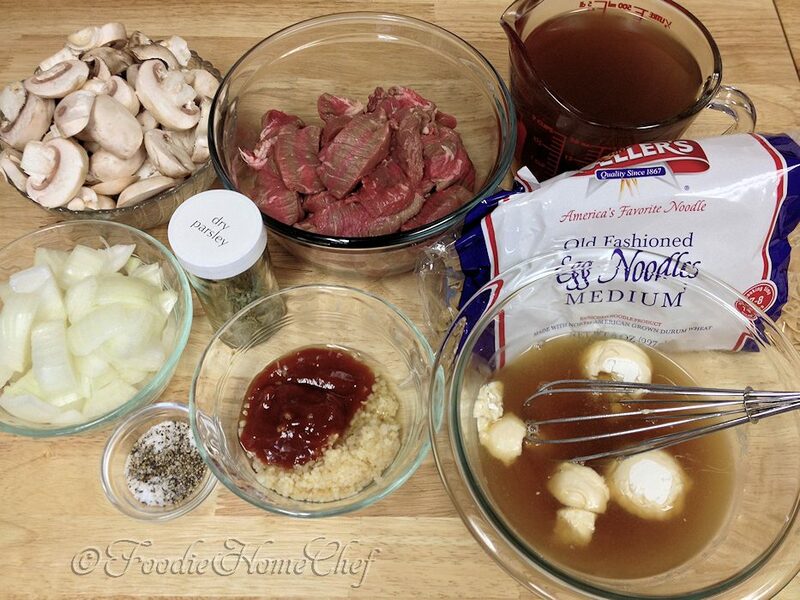 Drain & divide the noodles into bowls. 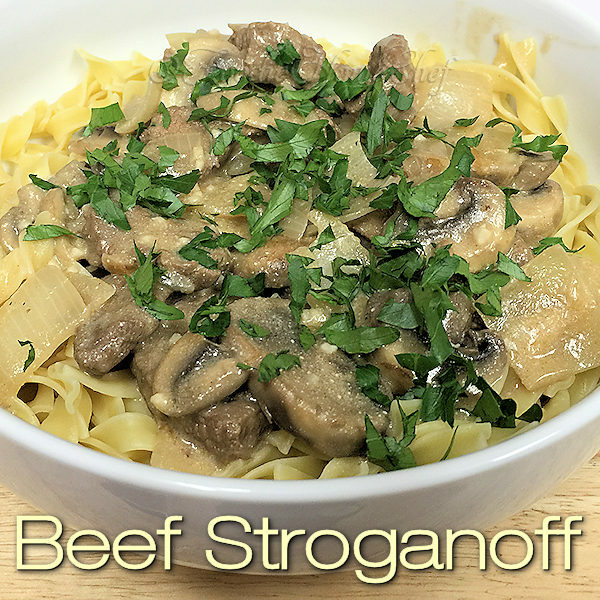 8 The stroganoff should be ready now... uncover & stir gently. 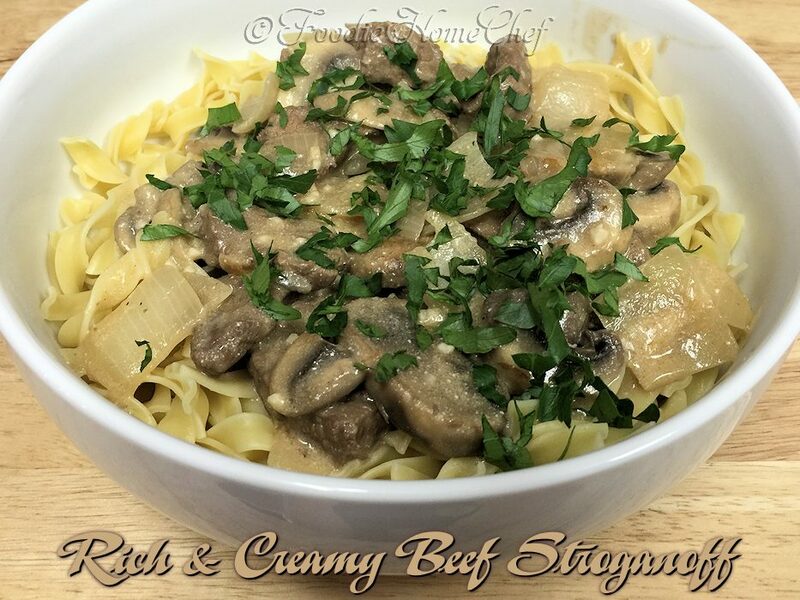 Using a slotted spoon; top noodles with beef, mushrooms & onions. Then using a ladle, top each serving with sauce. Garnish with parsley & serve. 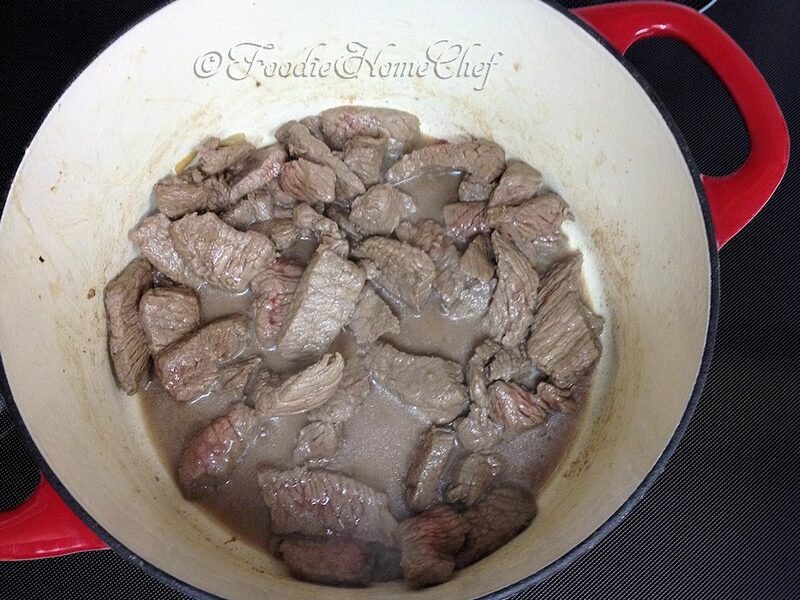 1 For a little different flavor; at step# 3 use only 1 1/2 cups of beef broth & add 1/2 cup of your favorite white wine. 2 If using fresh garlic, use between 1 to 1 1/2 Tblsp. 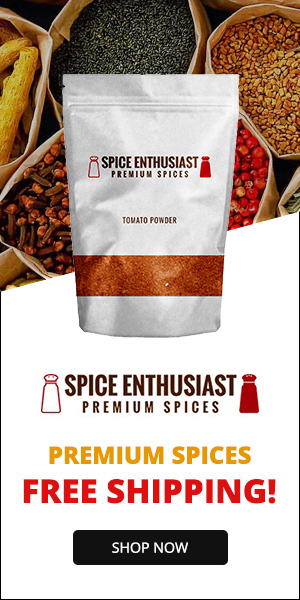 If using garlic from a jar, use 1 1/2 to 2 Tblsp.